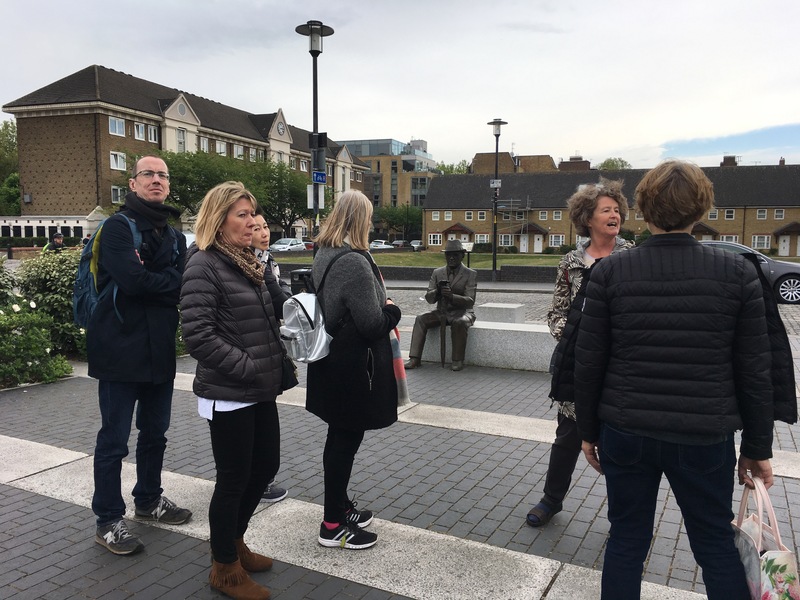 It was pretty windy when Oonagh led the first of our Ada Salter walks in Bermondsey last week, but that didn’t put off the group who all enjoyed the mix of Garden estate, old warehouses and sunning Thames views upriver. Ada’s trees, planted as part of the Beautification programme should look even better next Saturday with more in leaf. Why not join us and enjoy the Salters’ legacy? 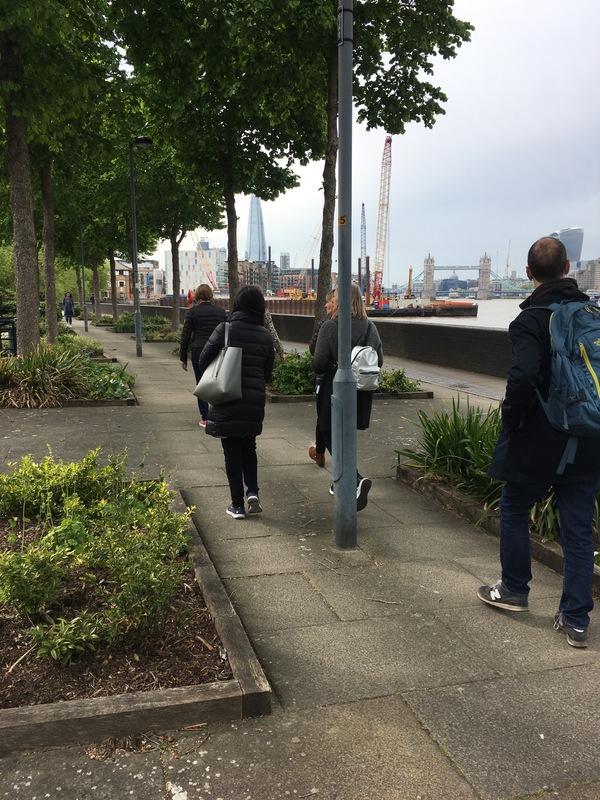 The next walk is on Saturday 13th May at 11am. Click here to book. 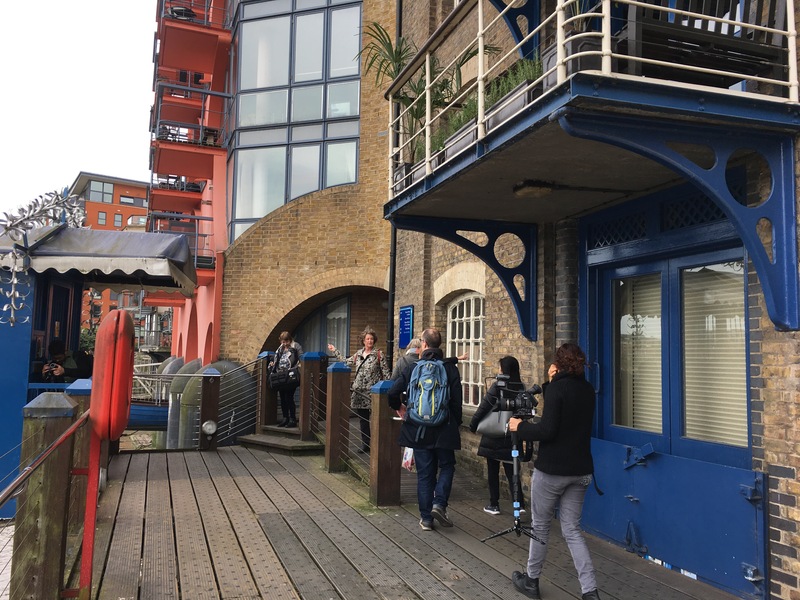 This entry was posted in Hidden Art, Hidden Heroines, Hidden Places, The Blog and tagged Ada Salter, Bermondsey. Bookmark the permalink.